“Blood, Dragons and Lions” is my first book and hopefully one of many to come. It is not a fantasy novel, as the initial impression of the title might give. It is in fact an autobiography! Who the heck am I to think my story deserved to be read? I leave it to you to judge. Here is the book’s blurb. In the late 70’s life was tough for anyone growing up on a gritty council estate in the North of England. For ten-year-old Kin Kam, life was that much tougher. From a shy Chinese boy in colonial Hong Kong to life as a scientist, inventor and entrepreneur, ‘Blood, Dragons and Lions’ is the extraordinary story of the author’s battle to overcome life’s challenges in spite of living with a serious disabling condition. Through protracted ill health, coupled with periods of religious and scientific introspection, Kin uncovers a new understanding about spirituality which radically frees his body and mind to realise greater inner peace and creative endeavours. Revealing vivid insights into faith, identity and geopolitics across the cultures of East and West, Kin takes us on a thought-provoking journey through contemporary history and a personal growth odyssey from disadvantaged child facing-up to bullying and prejudice, to bold risk-taking entrepreneur twice appearing on BBC’s Dragons’ Den. Uncompromisingly hard-hitting, yet warm and uplifting, Blood, Dragons and Lions entertains and enlightens in equal measure. http://www.ypdbooks.com/588_kin-f-kam (recommended supplier) or from Amazon UK, US, DE. Ebook version may be available in some Amazon Kindle stores. 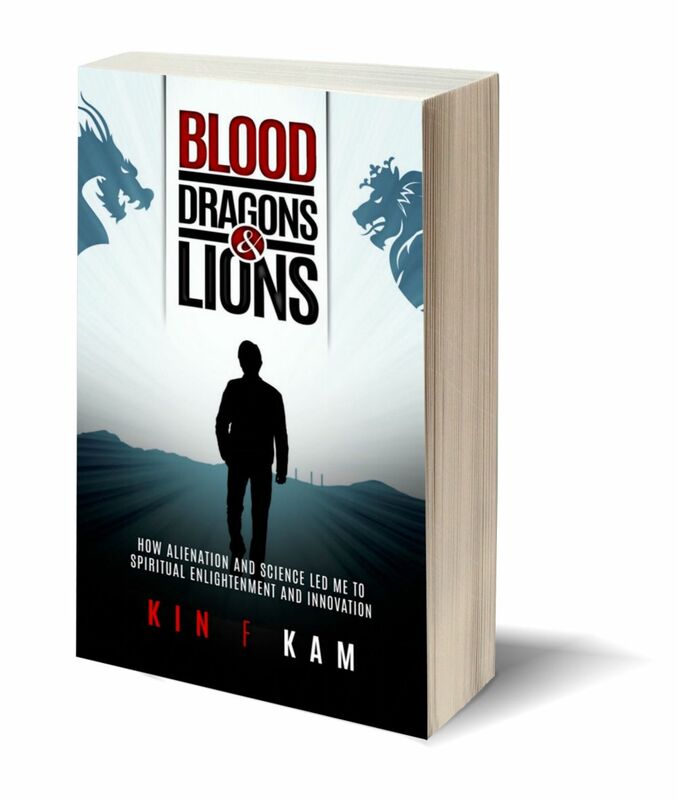 BLOOD, DRAGONS and LIONS is an inspirational and insightful autobiography of struggles with health, faith, identity, and latterly of transformation from a research scientist to being an inventor entrepreneur. The story is intertwined with a strong historical and topical narrative covering an unusually broad range of contemporary issues that include: living with a serious chronic medical condition; the immigrant journey; geopolitics and the rise of China; race, identity and multiculturalism; mindfulness and spirituality; and the fascination of science & innovation that led to a fascinating entrepreneurial start-up journey. 2) Questions about identity e.g. what is Britishness? How does it feel to have a dual identity? 5) Geopolitics of a rising China. Other target audience are of course readers of biographies/autobiographies and the niche medical community of patients and healers. eBooks available in some countries.